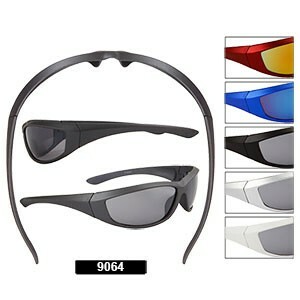 This is a nice looking sporty sunglass style for men. This style comes with popular frame colors, and several revo lens options. For just $8 a dozen, these are a terrific value.